HR Management - Everyone's Responsibility! Having spent many years of my life as a HR Manager and HR Director, I am obviously a huge supporter of having proactive and positive Human Resource Management teams in our organisations. However, just like everything else in this current business climate, HR roles are changing. 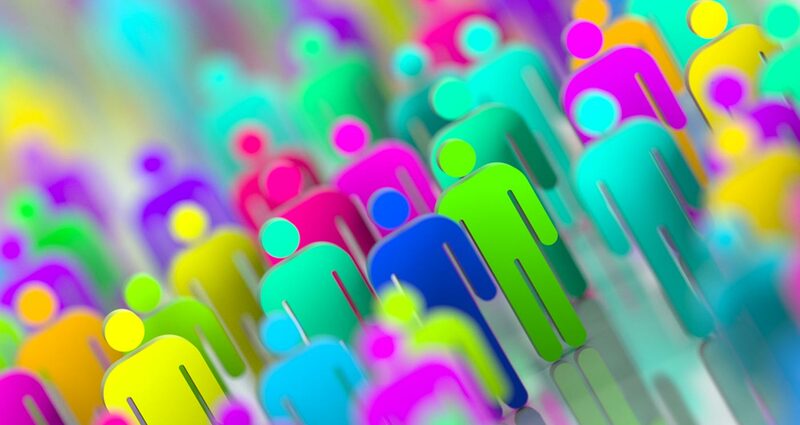 Many HR departments are downsizing or disappearing altogether, while others have totally changed their activities and now play far more strategic roles within organisations. HR Consultants are being employed and external providers now play a far bigger role in the management training and development of people across our organisations. Whatever the situation might be in your organisation, the fact is that many of the duties and responsibilities around ‘people management’ are being devolved to those managers and leaders who are actually managing others on a daily basis. What this means is that everyone across the organisation must now have a working knowledge of Human Resource Management and how it applies to their job. Often when I talk about this, some HR professionals become concerned that giving people knowledge in this field could make their own roles obsolete, when in fact the total opposite is the case. When we educate people around their responsibilities and accountabilities in managing others, not only do they feel more equipped, they take an enormous load off the already stretched HR department releasing more time for HR professionals to be even more strategic. In every organisation, understanding and managing people is everyone’s responsibility, so we must make sure we spend time teaching our leaders how to manage their people through the correct processes and procedures. At Proteus we feel so strongly about supporting front line leaders and releasing the pressure on human resource professionals, that we have developed a 2-day program ‘Leading Human Resouces - HR For The Everyday Leader’, to do exactly that. Human resource management is everyone’s responsibility. 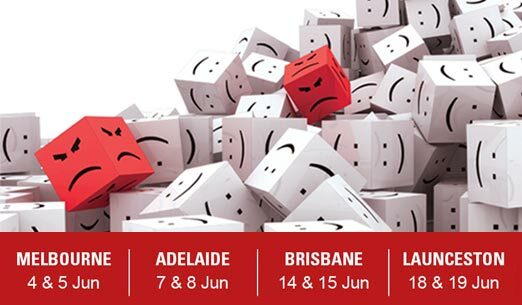 Check out our upcoming program and create an environment of shared responsibility in your organisation. Proteus is now running programs across New Zealand. 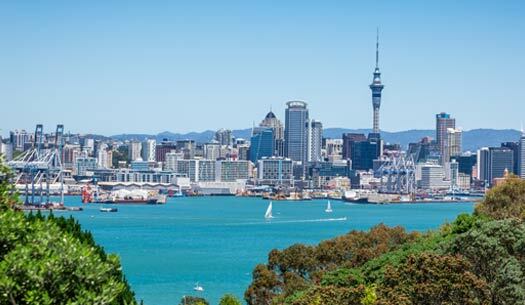 Senior Educator and Regional Leader, Brett Hutchinson has just returned from the beautiful city of Auckland after conducting leadership development programs with clients. Our breakfast series for 2018 is fast coming to an end. 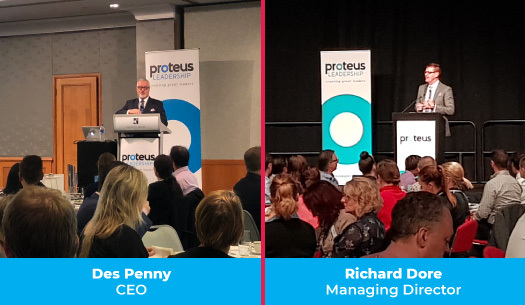 This year, so that we could take the breakfasts to more places, CEO – Des Penny spoke on ‘Staying Relevant’, in Hobart, Sydney and Perth, while MD – Richard Dore took his breakfast on ‘Creating Psychologically Safe Workplaces’ to Adelaide, Brisbane and Melbourne (there are still some last minute seats left for Brisbane and Melbourne). 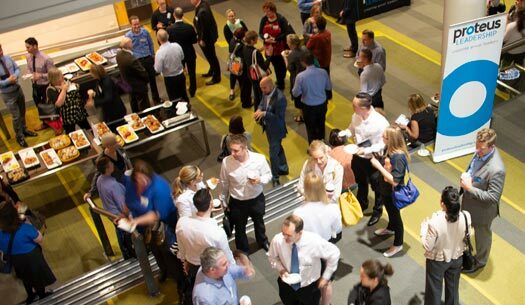 Both of these breakfast topics have had a powerful impact on individuals and organisations and seeing our tribe come together at these events is always a great thrill. Proteus is very proud to introduce our second round of 2-day leadership programs for 2018. We may be biased, but we truly believe that these practical, relevant and real programs are some of the best on offer across Australia. So, take a look at the schedule in your state and register yourself and/or your team into the programs that are relevant for you. If you are not sure of the best program for you, then ring our friendly team on 1300 219 903 and they will ensure that you have the professional development experience that you are looking for. 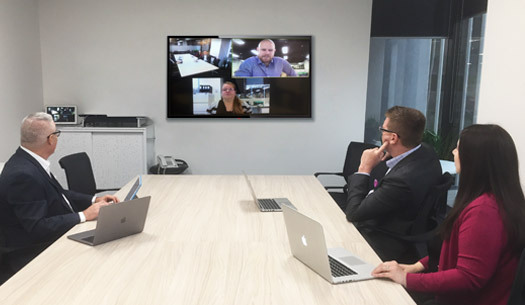 Proteus continues to upgrade and update our systems right across the business and as part of this we have created the Proteus Zoom room. As well as using it for internal communication, meetings and training, it also gives us the opportunity to expand our course coaching experiences online and also allows us to communicate with clients when discussing proposals around Training and Development for their teams. So, ZOOM in, we would love to speak to you face-to-face. Alyssa Starr - Mt St Vincent Nursing Home & Therapy Centre Inc.